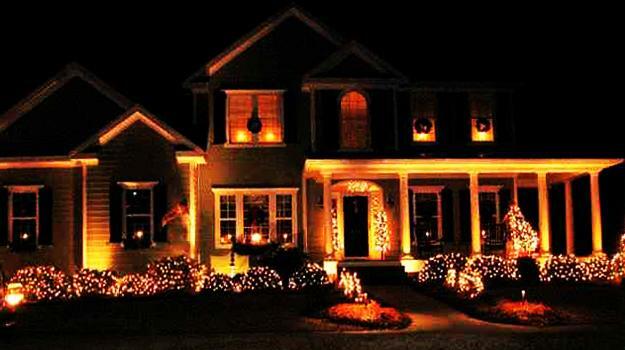 Christmas lights are wonderful door decorations which are versatile and suitable for every home. 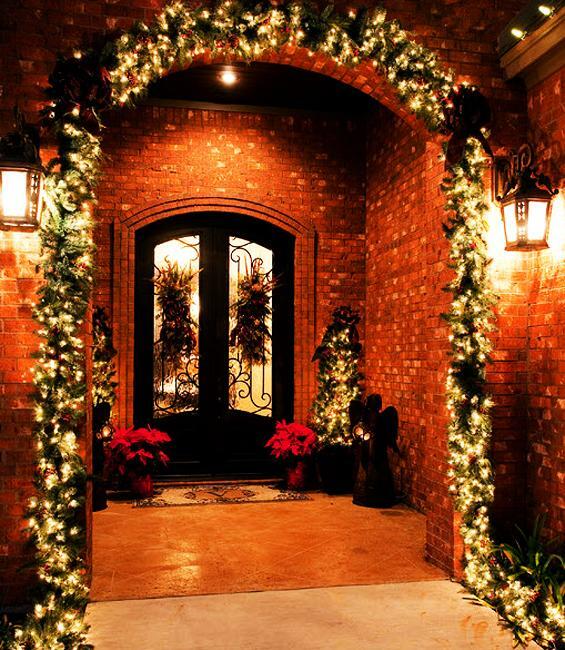 Outdoor lights and strands of Christmas lights add majestic beauty to house exterior and home entry. 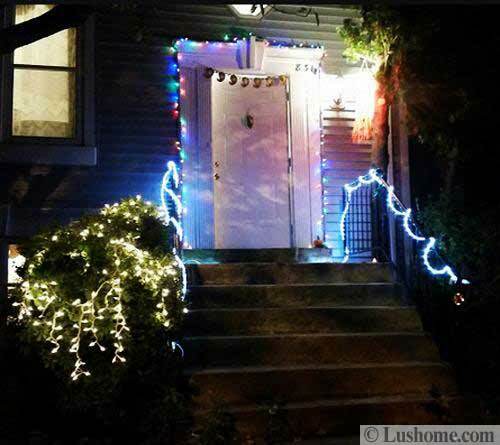 Lushome shares a collection of inspiring ideas for door decoration with Christmas lights. 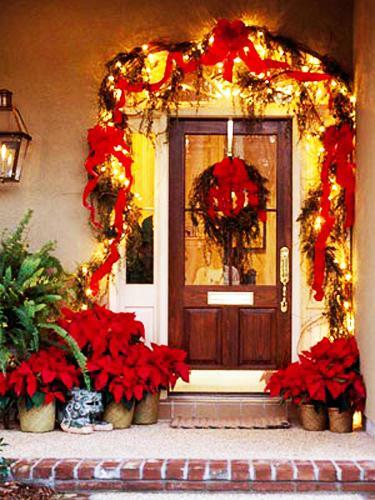 There are a lot of creative Christmas door decoration ideas for every home, decorating themes and house exterior architectural designs. 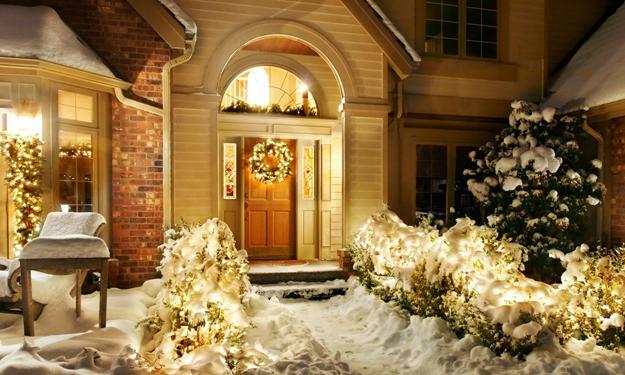 Strands of small lights are the most popular door decorations in winter, which adorn wreaths and garlands and add magic feel to house exterior and home entry at night. Days in winter are short. 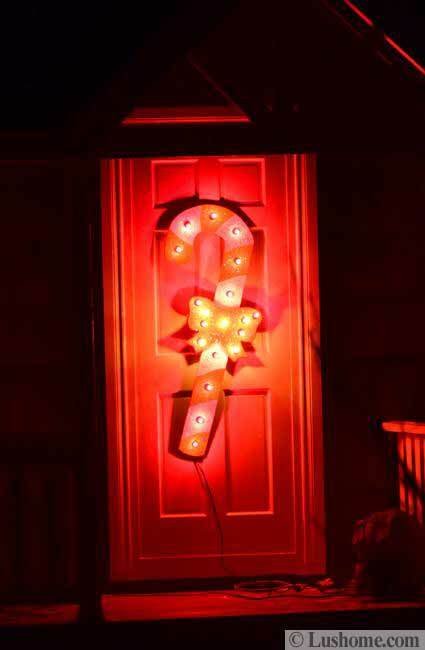 Outdoor lights enhance the attractiveness of any kind of Christmas door decorations and all ornaments for winter decorating. 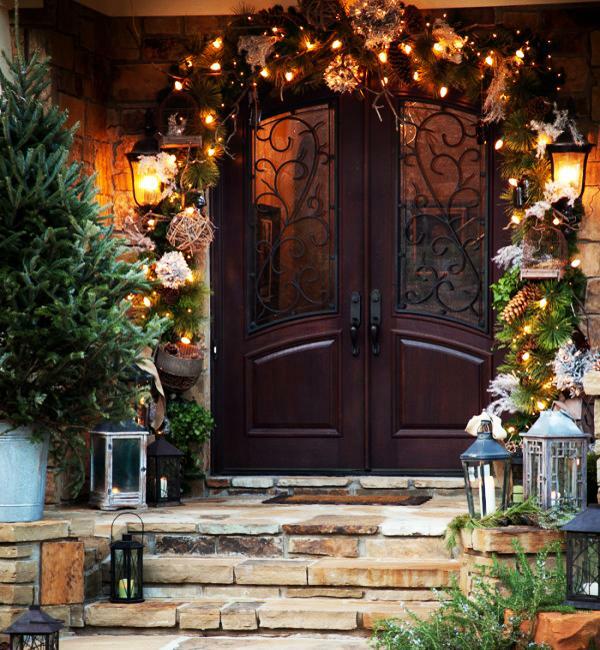 It is surprising how wonderful outdoor lights look on exterior doors and walls, highlighting outdoor decorations. 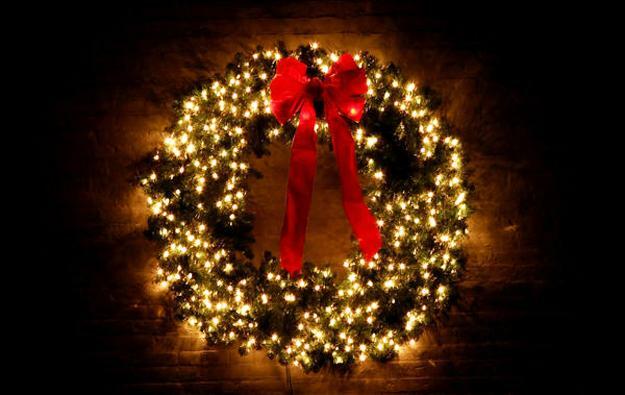 Christmas wreaths and Christmas trees in different sizes, colors, materials, and designs, decorated with ornaments and lights turn Christmas holidays into spectacular and bright. 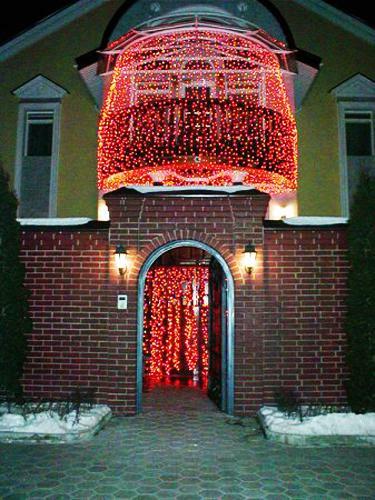 Winter decorating with lights can be inspired by great ideas created for Christmas holidays. 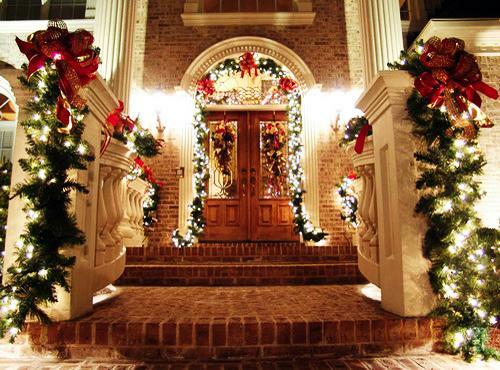 Christmas wreaths and small Christmas trees can be redecorated and redesigned for everyday winter decorating. Candy canes, ribbons, Christmas balls, acorns, pine corns, poinsettias, berries, cherries, apples, snowflakes, stars and hearts decorations can be used for door decoration with Christmas lights which add unique charm to winter decorating. 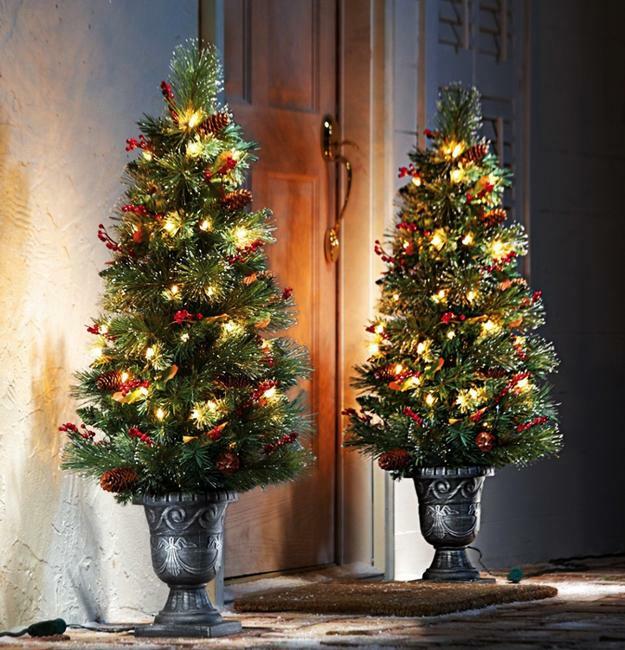 Traditional green colors with accents in red colors, or winter decorating with your favorite colors, look even brighter and more beautiful with Christmas lights. 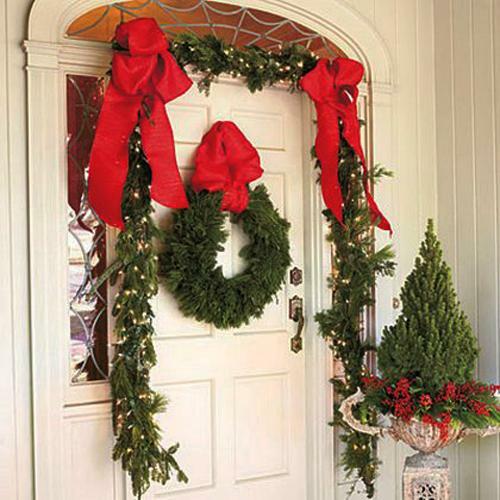 Door decorations, garlands and wreaths made with branches or wooden materials can be turned by lights into masterpieces for Green holiday decorating and everyday winter decoration. 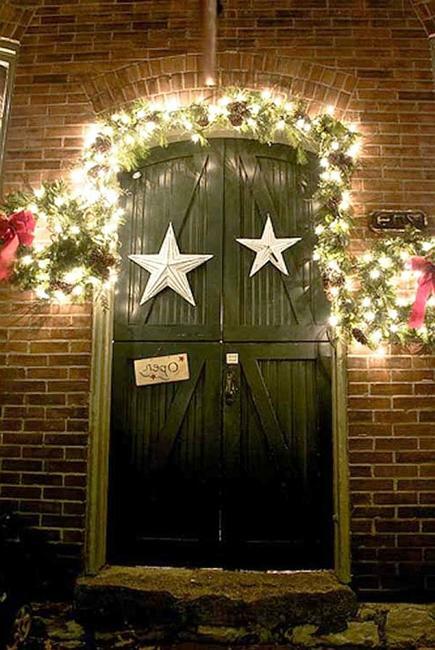 You can reuse and recycle Christmas decor to create unique door decorations and enhance them by adding outdoor lights. 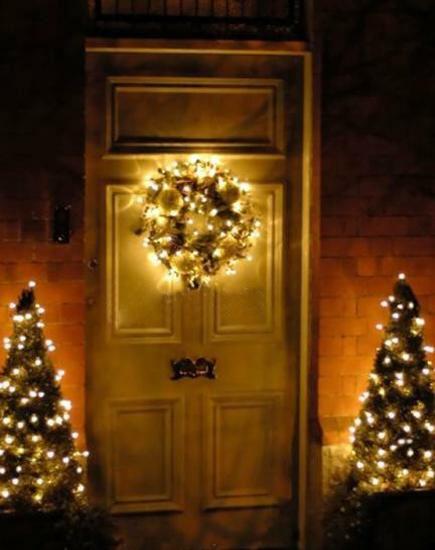 Winter decorating ideas can blend natural materials with shiny plastic and foil which reflect light and help create very bright and attractive door decorations. 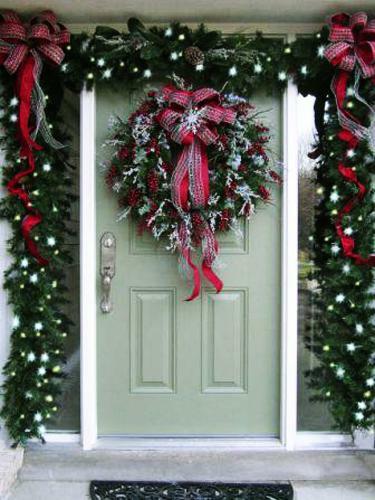 Winter decorating ideas can include door wreaths, garlands, hanging decorations and door knob decorations. 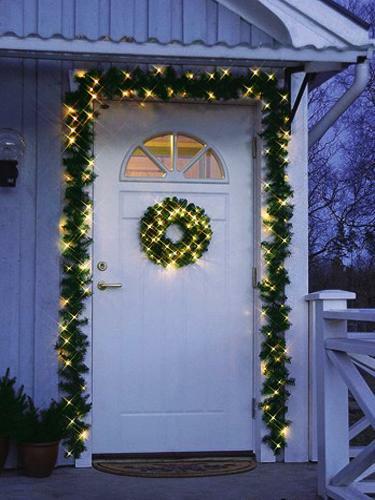 Evergreen branches and garlands with lights can beautifully outline the frame of the door and add an inviting look to your house exterior. 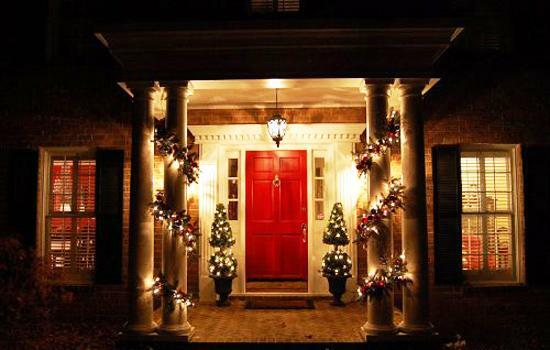 Christmas lights make door decorations pop out during night time, adding majestic glow to your winter decorating ideas.